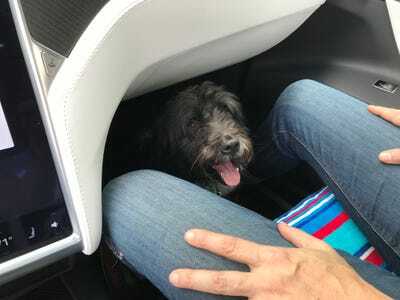 It was created for the car-show circuit to show off how a popular compact SUV could be modified for maximum canine pleasure. Nissan let us borrow it, and we tried it out on a real live dog. 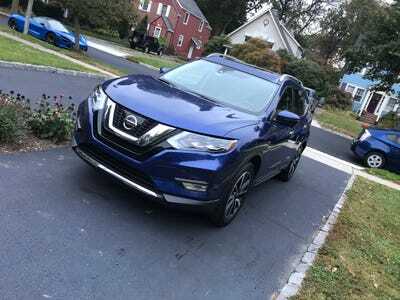 Compact SUVs are crazy popular now — nearly 2.5 million have been sold this year — and one of the craziest popular of all is the Nissan Rogue. The Rogue is the number-two bestselling company crossover in the US market, sandwiched between the Toyota RAV4 and the Honda CR-V. In Australia, it’s known as the X-Trail. 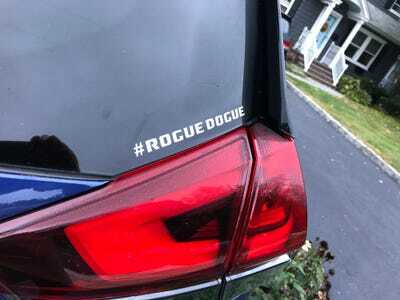 I’ve always liked the Rogue as a sort of semi-luxurious alternative to Toyota’s and Honda’s stalwarts, and my colleague Danielle Muoio is a big Rogueista (Rouger?). 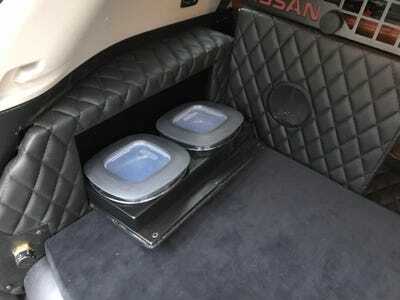 At the New York Auto Show earlier this year, Nissan showed a concept called the “Rogue Dogue,” a Rogue kitted out with a sort of dog-ue-y (Get it?) amenities. Back in April, I didn’t own a dog. But thanks to the unrelenting pressure of my entire family, I now do. His name is Marco. 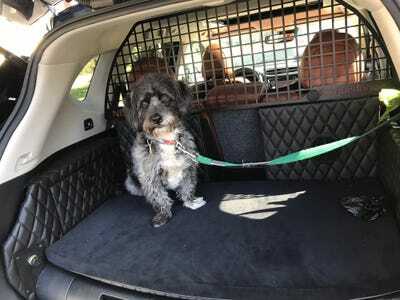 Here’s what it was like to travel with him in the Rogue Dogue. Don't get the wrong idea. I'm a secret dog lover. 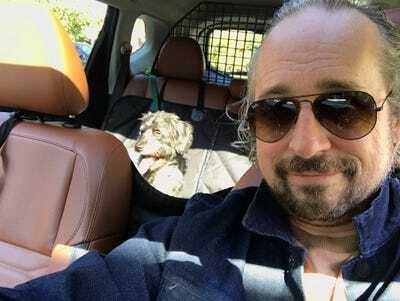 Marco, our new hound, is also a terrific traveller. He normally likes to sit up front, on the floorboards of the passenger side. ... similar to the sort that we've reviewed and enjoyed at BI. 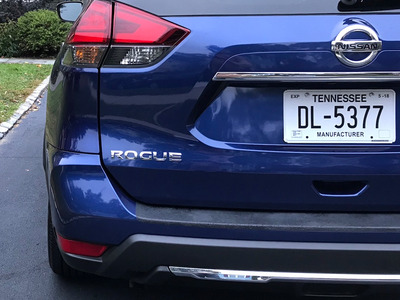 The Rogue Dogue that Nissan let us check out was based on a 2017 model, with all-wheel drive. The base price was $US31,310, but our tester stickered at $US35,310 thanks to some options in the SL Premium and Platinum packages. 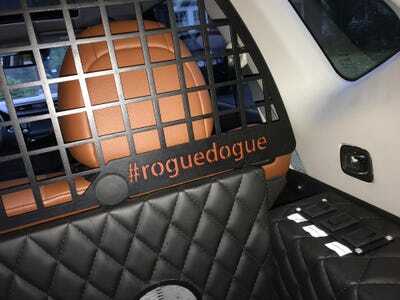 The Rogue Dogue is actually a 'project vehicle,' so you can't yet order one. It's possible of course that Nissan might enable dealers to add features on an aftermarket basis in the future, if there's enough demand. 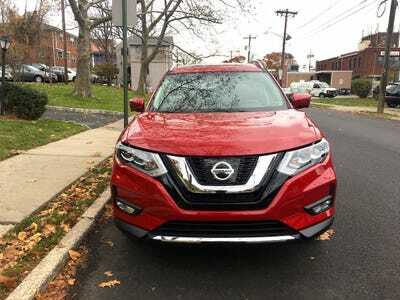 The Rogue really is a nice, stylish crossover, so you can understand why it's been a hot for Nissan. 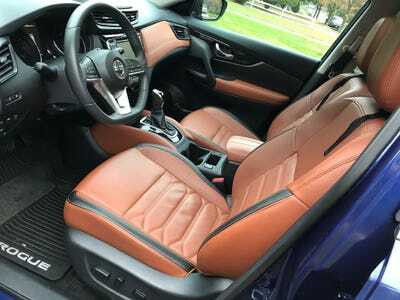 It has a peppy four-cylinder engine making 170 horsepower and a continuously variable transmission that delivers EPA-rated fuel economy of 9.4 L/100km city/7.3 highway/8.7 combined. 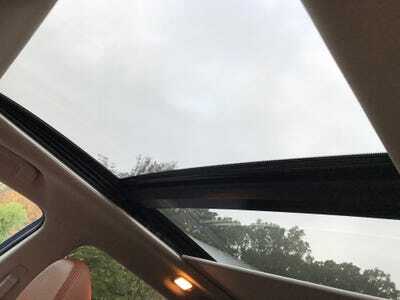 This power panoramic moon roof is a wonderful feature, but it does come as part of over $US2,000 in add-ons. 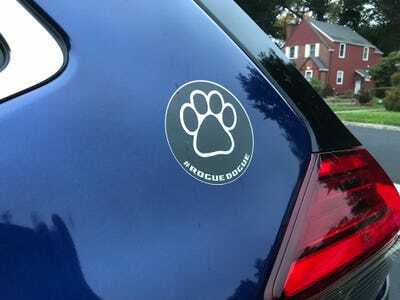 This is one of a few thing that gives the Rogue Dogue away as a very special Nissan Rogue. 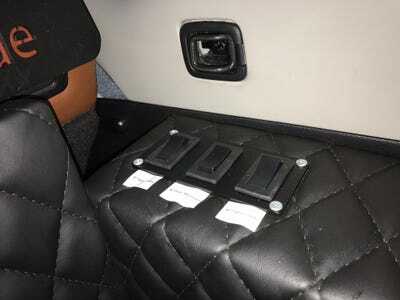 This seat-cover system attaches to the headrests and means that Rover won't trash your 'tan leather-appointed' seats, a $250 extra. A closer look. 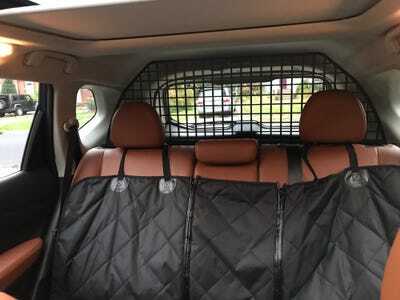 You can also see the plastic cage divider. 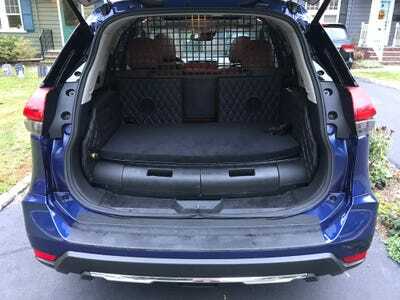 The real action is in the rear cargo area, which has been outfitted for maximum canine enjoyment. 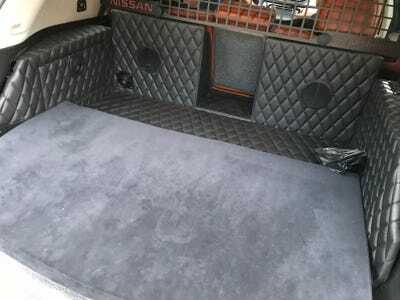 The entire area is quilted and washable. 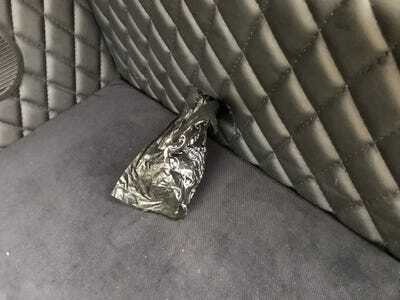 This plush cushion can be removed. There are concealed, spill-proof dog bowls for food and water. 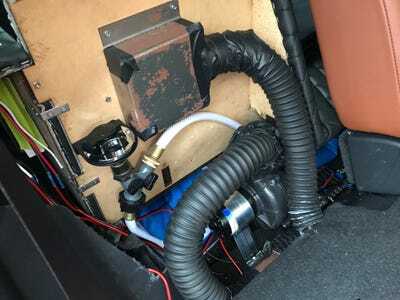 As well as electronics that run off the Rogue's battery. 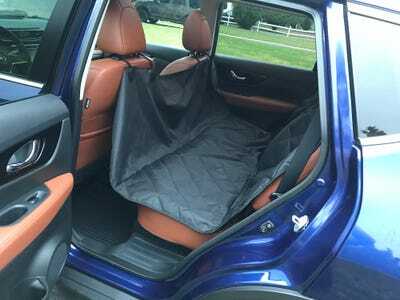 You can blow-dry your dog and air-condition the cargo area. There is also a healthy supply of the all-important poop bags. 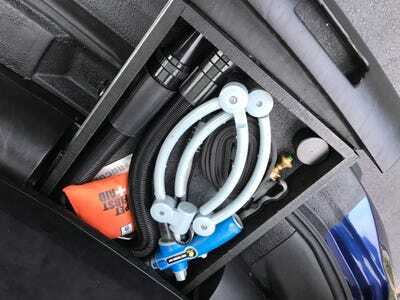 Accessories are located in a concealed drawer. The coolest is the water system, which allows you to wash your dog off! 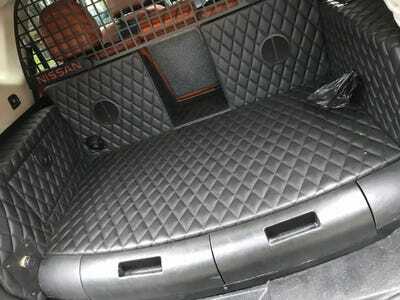 The plumbing and venting are hidden behind the rear seats. If you look closely, you can see the blue water bladder. It's refillable. Hashtag roguedogue! 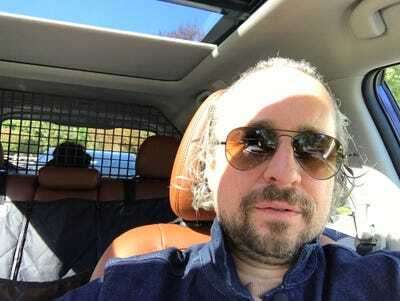 If I have a single complaint about the vehicle, it's that the plastic cage divider is a bit flimsy. The hashtag is also on the back end. 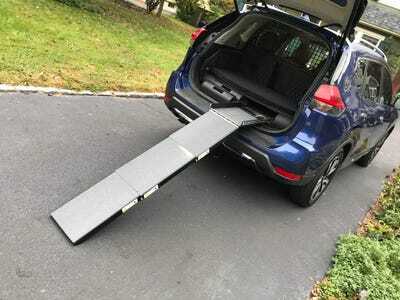 This ramp is collapsible and stowable. He wasn't too cool with the confinement. 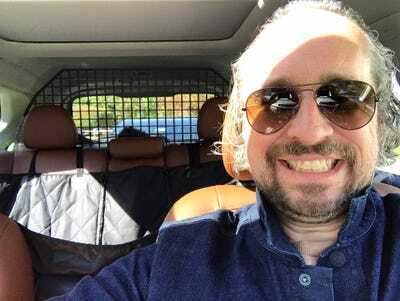 The back seat was more of his happy place. I definitely liked the Rogue Dogue more than my actual dogue, but he's a snob since we let him ride up front all the time. 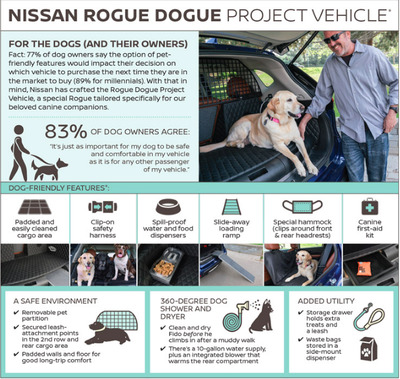 Nissan has genuinely created something cool here that will satisfy the needs of many dog owners if they ever decide to make the Rogue Dogue available.